Van’s Delivery Service, Inc. provides a broad spectrum of contract dedicated logistics services, and is currently operating many of these operations in the Midwest. Several of these fleet operation contracts have been in place for 10+ years. Our service offerings range from as simple as driver leasing to fully customer identified equipment with drivers in uniform. We feel we are doing our job well when our employees can harmoniously assimilate into your organization, and anyone outside the organization would recognize our employees as one of yours. 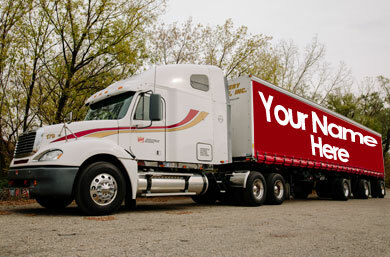 Our customer demographics range from one truck operations to Fortune 500 companies. Whether you have 1 truck or a huge fleet we can offer you a cost effective solution to your current private fleet. Fix your transportation expenses for the term of the contract. With the exception of fuel you will not have those unexpected expenditures like major component failures or physical damages. Pay as you go with no upfront expense. Eliminate lawsuits and liability exposure caused by accidents or damages. No Workmen’s Comprehensive Claims or Unemployment Claims. Do not have to pay for sick days and vacation time. Or have to hire a second driver when your driver is absent. No out-of-pocket expense for GPS technology, dispatch department, safety department, pre-hire research, physicals, drug testing, equipment damages or conducting DOT required safety meetings. Employee issues are resolved easily and effectively by our staff. If a driver is not working out we efficiently remove that person and replace them. All required records will be on file and filed properly with the appropriate Government Agencies. Your operation would be fully DOT Audit Compliant. Augment your core fleet size with additional equipment from our fleet during peak periods. That way you only pay for the additional capacity when you need it. At Van’s we make having your own fleet easy. You can benefit from our 90+ year history in the transportation industry. As new laws or challenges present themselves you can rest assured that we will have it handled.